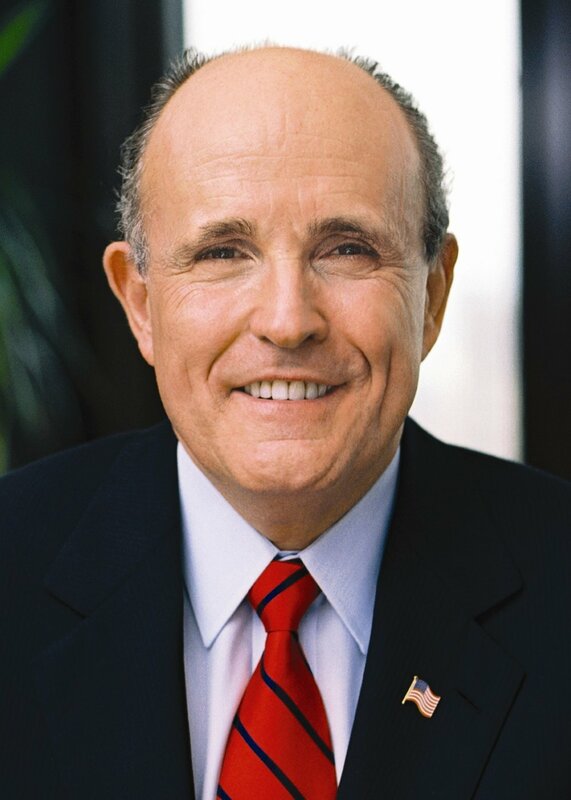 Rudolph W. Giuliani, former Mayor of New York City, was born in 1944 in Brooklyn, New York. He attended Bishop Loughlin Memorial High School, Manhattan College, and New York University Law School. In 1981 President Ronald Reagan appointed Rudy Giuliani as Associate Attorney General of the United States. In 1983, he was appointed as the United States Attorney for the Southern District of New York. Giuliani spearheaded successful efforts against organized crime, white-collar criminals, drug dealers and corrupt elected officials. Few U.S. Attorneys in history can match his record of 4,152 convictions with only 25 reversals. In 1993, he was elected Mayor of the City of New York and focused on reducing crime, reforming welfare, and improving the quality of life. Under his leadership, overall crime was cut by 56%, murder was cut by 66%, and New York City—once considered the crime capital of the country—became the safest large city in America according to the FBI. On September 11, 2001, having narrowly missed being crushed when the Twin Towers fell as a result of terrorist attacks, Mayor Giuliani immediately began leading the recovery of the city as it faced its darkest hour. He was named “Person of the Year” by TIME magazine, knighted by the Queen of England, dubbed “Rudy the Rock” by French President Jacques Chirac, and former first lady Nancy Reagan presented him with the Ronald Reagan Presidential Freedom Award. In January, 2002 he founded Giuliani Partners, a management consulting firm with a focus on safety and security. During this time, he was a Founding Member of the Twin Towers Fund, which raised and distributed approximately $216,000,000 to the loved ones of September 11th victims. In January, 2016 he joined the international law firm Greenberg Traurig as Global Chair of Cybersecurity and Crisis Management Practice and Senior Advisor to the firm’s Executive Chairman, Richard A. Rosenbaum. In May 2018, he left the law firm to concentrate on the representation of President Donald J. Trump focusing particularly on the Mueller investigation.